Air quality has certainly become a hot issue in our modern world. We install air filters on our ventilation systems and in our vacuum cleaners. There's a filter that cleans the air going into our vehicle's engine — so why not one for the air in the passenger compartment? Foreign and domestic vehicle manufacturers haven't been ignoring the issue. Cabin air filters are becoming a standard feature on newer vehicles. These filters can clean particles out of the air down to three microns, which accounts for pollen, dust and most pollutants. Conway residents who suffer from allergies or have a respiratory disorder should be a lot more comfortable. And even if you don't have a medical need for the filter, the cleaner air in your car just might help you breathe better, figuratively as well as literally. Cabin air filters are still fairly new in the Conway area, so you'll have to check your vehicle owner's manual to see if you have one. If you do, your routine car care will have to include changing the filter as part of your preventive maintenance. The owner's manual will give recommendations on how often the filter has to be changed, but if the air where you live in Arkansas is particularly dirty or if you're prone to hay fever, you may want to change it more often. 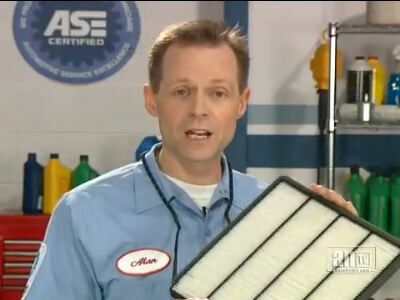 Your friendly service advisor at Hines Service Center can also offer suggestions on how often to change your cabin air filter in your Conway area. They're the ones who actually see the dirty filters, after all. There is no standardized location for cabin air filters. Conway residents can usually find them in the vehicle engine compartment or under the dashboard, but they might be somewhere else. So the ease of changing the filter will depend on its location. Some are readily accessible, but others make you wonder how they got installed in the first place. Bring your car into Hines Service Center and we will locate your cabin air filter for you. However, if you have a newer vehicle, it's good auto advice to find out if it has a cabin air filter. If it does, you should change the filter regularly. A sure sign that a filter needs to be changed is that the interior of your vehicle will start to smell bad. That smell is exactly how some Conway drivers discovered that they had cabin air filters in the first place! Cabin air filters are just one more way we have to stay safe, stay healthy and stay on the road in Arkansas.